Tired of laboring in city cubicles, Justine van der Leun sublets her studio apartment, leaves her magazine job, and moves to Collelungo, Italy, population: 200 souls. There, in the ancient city center of a historic Umbrian village, she sets up house with the handsome local gardener she met on holiday only weeks earlier. This impulsive decision launches an eye-opening series of misadventures when village life and romance turn out to be radically different from what she had imagined. Love lost with the gardener is found instead with Marcus, an abandoned English pointer that she rescues. 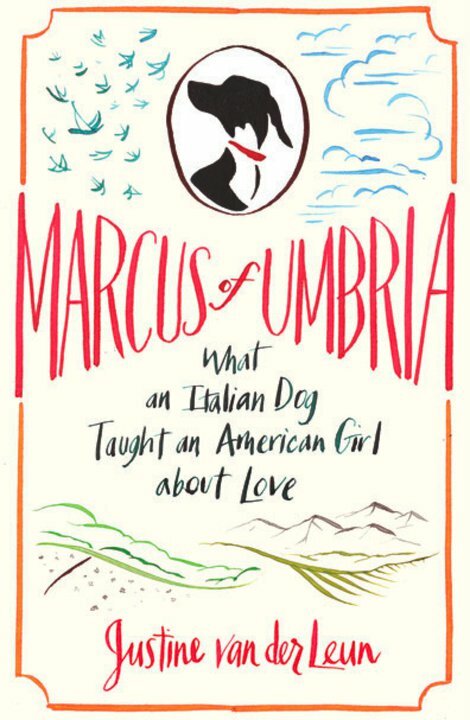 With Marcus by her side, Justine discovers the bliss and hardship of living in the countryside: herding sheep, tending to wild horses, picking olives with her adopted Italian family, and trying her best to learn the regional dialect. Not quite up to wild boar hunting, no good at gathering mushrooms, and no mamma when it comes to making pasta, she never quite fits in with the locals who, despite their differences, take her in as one of their own. The result is a rich, comic, and unconventional portrait about learning to live and love in the most unexpected ways. 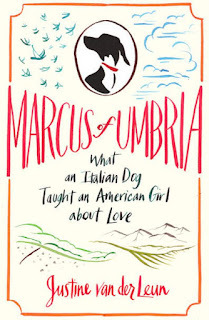 This is the plot of the novel 'Marcus of Umbria: What an Italian dog taught an American girl about love'. The book traces Justine van der Leun's funny and illuminating time spent in Collelungo, a 200-person farming village in central Umbria. The author of the new book Marcus of Umbria, Justine van der Leun introduces us to her former home village of Collelungo in Umbria and what there is to see and do around the more well-known town of Todi. The effect of this book is utterly charming. I was engaged from start to finish!